Angel’s entire Summer 2016 collection is on sale this week at up to 50% off. All Desigual for women, men & kids is 20% off, with in-store specials of up to 50% off on men’s cotton blazers, sweaters, shirts, pants and T-shirts. 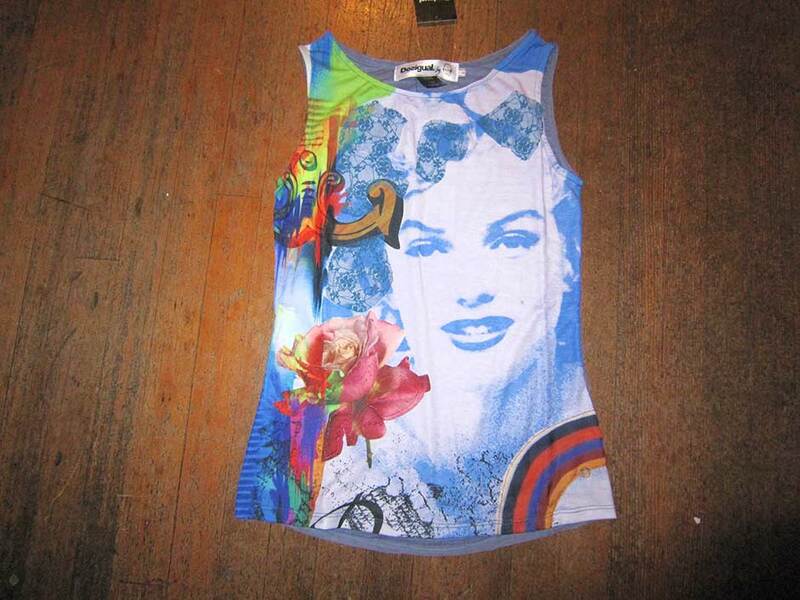 We also have women’s dresses, including some designed by Christian Lacroix, on sale at 30% off. And we have several other Spanish brands — Smash! Compañía Fantástica (from Madrid) & Paramita — on sale at 30% off as well. Buy two items and get 30% off. Everything in our store is on sale: Desigual bags, shoes, sandals and flipflops, scarves and beach towels. It’s a sad reality of retail, but this is almost the end of the summer fashion season. Still, we have great savings on styles you can enjoy for the rest of summer, which lasts until October in Vancouver. We have to make room for our first shipment of the Desigual Fall-Winter 2016 collection, which is expected to arrive next week. Desigual is a Barcelona brand that radiates colour, Mediterranean style and good vibes. If colour makes you happy, this is your store. To the left are some of the coats we’ve selected from the Desigual Fall-Winter 2016 collection, which should arrive soon. Angel is a Desigual Wow Shop — the first Desigual boutique in Vancouver. Angel has Desigual for men, women and kids — the largest selection of the newest Desigual on the west coast of Canada. We ship worldwide, with free shipping in Canada for purchases of $200 or more. Angel offers personal shopping by appointment. Call (604) 681-0947. Angel Vancouver is located at No. 2 Powell Street in the Gastown district of Vancouver, Canada. We are on the corner of Powell & Carrall Street in Maple Tree Square, where Vancouver began. The photo to the left shows what the location of my store looked like in 1886 (click on photo to enlarge). Angel specializes in custom handpainted clothing. Our kids shirts are by Justine Brown, who lives in London England. This is Chet Faker, from Australia, doing No Diggity, originally by Blackstreet, featuring Dr. Dre & Queen Pen. This entry was posted in Desigual, Desigual bags, Desigual for kids, Desigual for men, Desigual for women, Desigual scarves foulards, Desigual shoes and sandals, Smash! and tagged Angel Handpainted clothing, Angel Vancouver B.C., Buy Desigual in Canada, Desigual Vancouver Canada, Gastown, La Vida es Chula (Life is Cool! ), We ship Desigual in Canada. Bookmark the permalink. Not sure of the items you’re looking for.